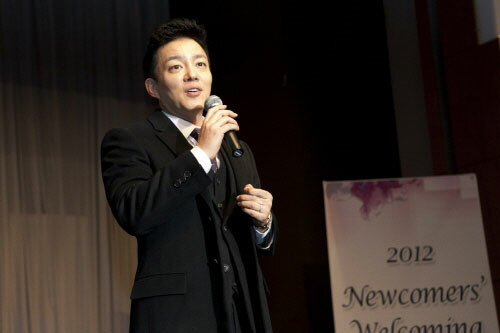 The popular actor of SBS Monday and Tuesday drama Salaryman, Lee Bum Soo, was attending the Newcomers’ Welcoming Party of Kolon Group in December 2011. The late discovery of the photos have become a discussion topic. The visit by Lee Bum Soo on that very day was to experience the working environment of office workers, with the intention to advance the level engagement of the role. The lightning visit of Lee Bum Soo received the enthusiastic welcome by the new employees of Kolon Group.